You know that head of lettuce that’s been waiting for you in the crisper drawer since last week? The one with the wilty outer leaves that’s not quite fresh enough to make a salad that won’t depress the hell out of you? You know that quarter-bag of baby spinach that didn’t fit in the pan when you sautéed a bunch a couple nights ago? Do you ever end the week with just a handful of sugar snap peas that didn’t make it into lunch boxes? This dish is for those sad, neglected, forgotten green things. It’s a variation on one of the recipes in my new book; it’s vegan and gluten free, and delicious. Nothing earth-shattering, just comforting and homey, easy. You can make it in about fifteen minutes from ingredients you probably already have—and please use your imagination when it comes to the vegetables involved. Leftover steamed (or raw) asaparagus, frozen peas or corn from last summer, radicchio, sweet peppers, sliced radishes or jicama—it’s all good. 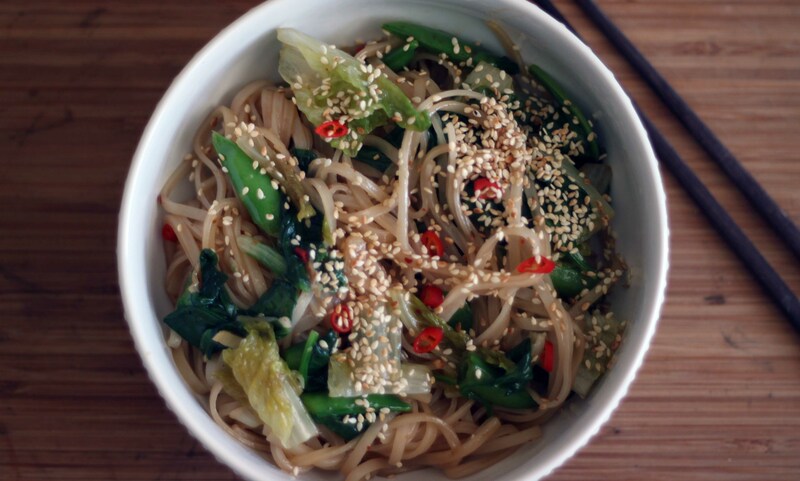 Put the noodles in a heatproof bowl or baking dish and cover with very hot water. Let soak for about 10 minutes, until soft but not mushy. Drain in a colander and rinse under running water, separating any noodles that are stuck together. 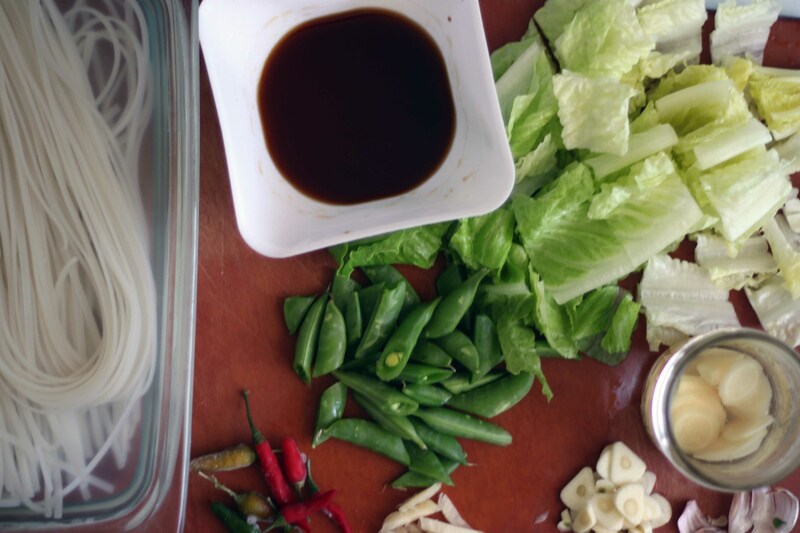 While the noodles are soaking, thinly slice the garlic and ginger and roughly chop the romaine and sugar snap peas. In a small bowl, combine the tamari and shaoxing. In a large sauté pan, toast the sesame seeds over medium-high heat until fragrant and scrape them onto a plate. Return the sauté pan to medium-high heat and add the oil. When it shimmers, add the garlic and ginger and sauté for about 1 1/2 minutes, until softened and starting to brown. Add the romaine and sugar snaps and cook, tossing, for about 2 minutes, until the romaine is wilted and the sugar snaps are bright green. Add the drained noodles, the spinach, the tamari mixture (rinse out the bowl with a splash of water and add it, too), and the red chile flakes. Cook, tossing with tongs, until the noodles are just tender and most of the excess liquid has evaporated, about 3 minutes. Taste and add more tamari if needed, then transfer to serving bowls or plates. Snip the fresh or frozen chiles over each portion (see Notes), sprinkle with sesame oil and the sesame seeds, and serve. Notes: I like to keep a jar of peeled slicedginger covered in some sort of strong alcohol (dry sherry or vermouth is best) in the refrigerator. It keeps almost forever, and you can use the coins like fresh. You can use some of the alcohol they’re in instead of shaoxing, if you’d like; dilute it with a little water if it’s very potent. I also always have a zip-top bag of assorted hot chiles in the freezer. Because I’m usually cooking not just for myself but a young child, I can’t just go adding them to the pan willy nilly. Lately I’ve been using kitchen scissors to just snip still-frozen Thai chilesonto my portion—it’s easier to just rinse off the scissors and toss the stems than it is to contaminate a cutting board, knife, and—god forbid—my hands. Hence the strange instruction above, to “snip” your chiles. I know there are about as many vegetarian cookbooks on the shelves as there are vegetarian readers, but this one is different. 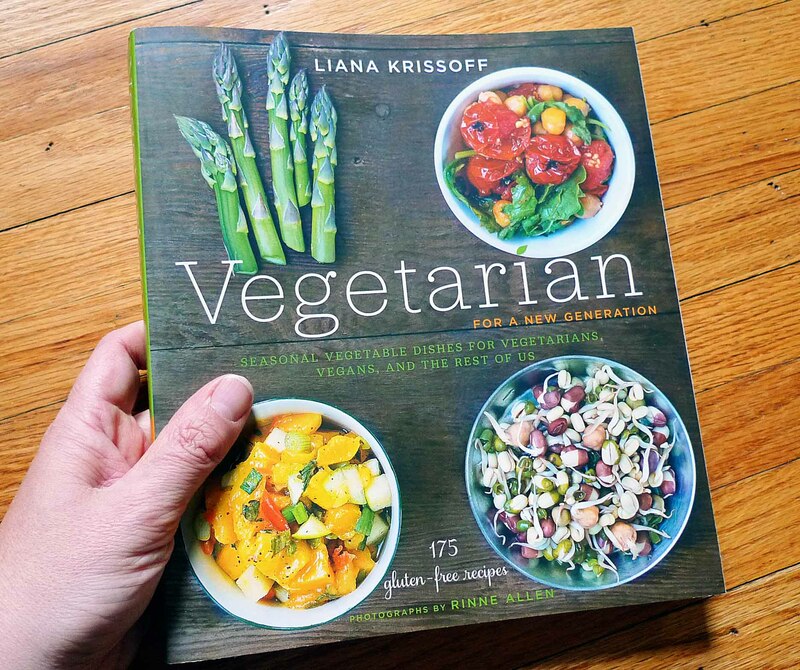 It’s more helpful, I think, to imagine it as a vegetable book that’s also vegetarian; it celebrates not only the vegetable side dish but the new, enlightened vegetable plate: meals loaded with simple farmstand goodness, easy on the starch. These are seasonal dishes, of course, fresh, uncomplicated, and flavorful. You’ll find simplified takes on classics like ratatouille and frittatas as well as lesser-known dishes like South Indian pepper water and green tea leaf salad that deserve wider appreciation. None of these recipes requires hard-to-find or terribly expensive ingredients, but because nearly every community in this country now has access to an ethnic grocery or two I include lots of advice for shopping in them and using them to your best advantage. Those pages are pretty dense and text-heavy, but it’s all good stuff. I kind of like to think people will be photocopying them or even tearing them out to bring along to the store. There are also, of course, lots of gorgeous photographs, by Rinne Allen, that make simple recipes like this one, where you just pile everything on a baking sheet, look more elegant than they are. One thing I tried to do in the photographs is to present interesting ideas for how to put these basic dishes together into special vegetarian meals. I don’t care for the idea of forking one’s way through big bowls of starch-plus-token-plant-protein that make up the bulk of many vegetarian cookbooks; instead I prefer to offer several distinct dishes that complement and contrast with one another, mingling on the plate in unexpected ways. 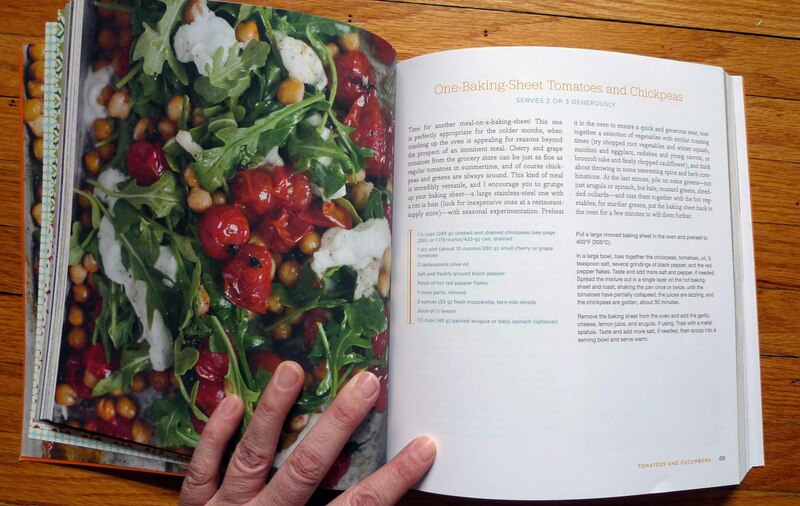 While it means preparing more different recipes for each meal, I’ve written these with an eye toward making full vegetable-plate-type meals doable on a regular basis. You might make simple grains dishes or baking-sheet roasts most nights, but occasionally put together a meal like the one below, with falafel mix you’ve snagged from the freezer, a fresh corn salsa, good tomatoes, some marinated shallots that’ve been waiting in the fridge for a week, a quick whisked tahini sauce, and maybe cucumbers stirred into yogurt. 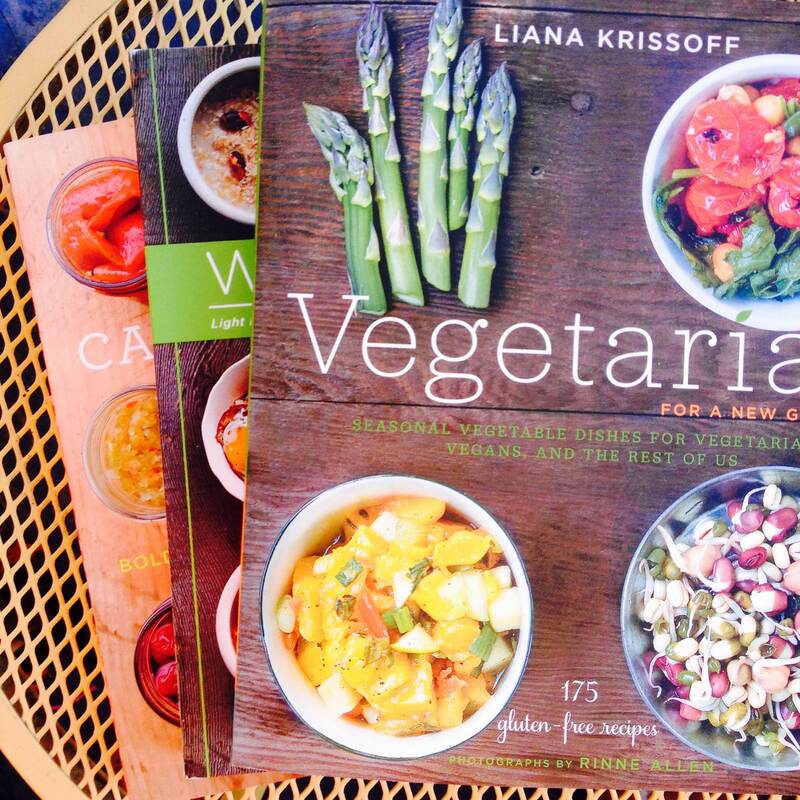 I also wanted this book to be friendly to those who do eat meat (as you know I do! 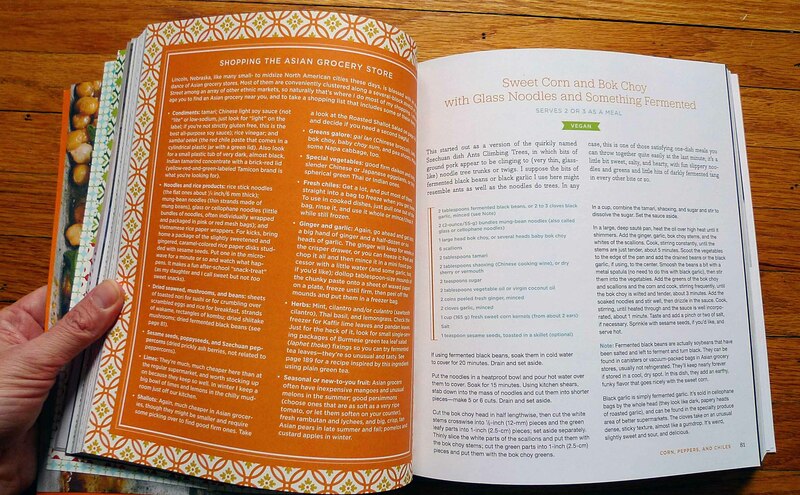 ), and most of the recipes would work quite well alongside a piece of good-quality meat or fish. Basically, the idea is to simply eat more vegetables, preparing them in more interesting ways. I certainly benefited from pushing my own boundaries a bit and I hope you all like the results. 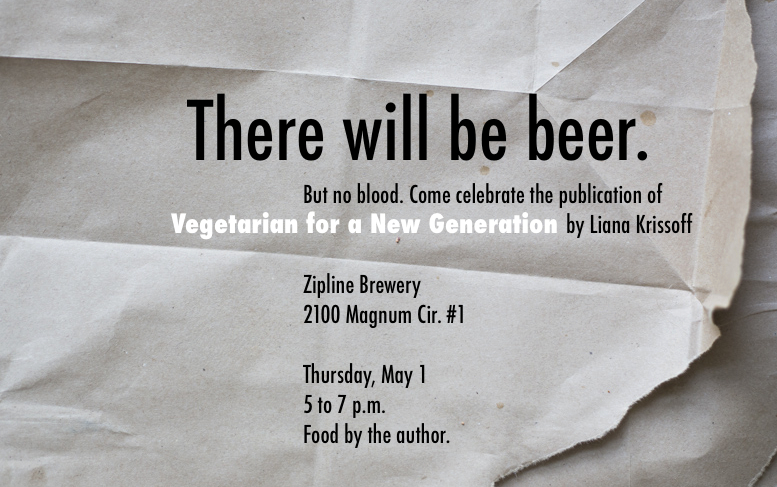 As the pub date draws near, I’ll be posting some favorite vegetable recipes—maybe some from the book, maybe new ones—and will give away a book or two, so check back here when you can. You might also want to check out the book’s Facebook page and keep in touch there, too. Mostly I’d just love to hear what you’re cooking!